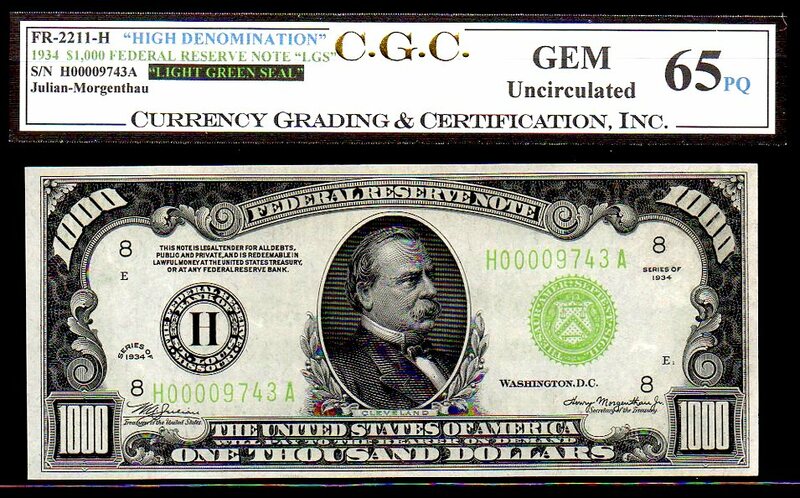 FR 2211-H $1,000 1934 "LIGHT GREEN SEAL" IN CGC 65PQ! 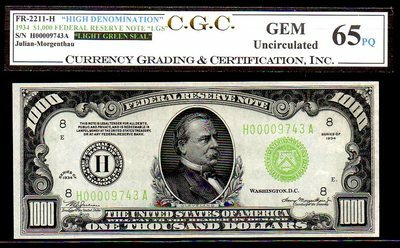 A GORGEOUS HIGH DENOMINATION WITH EXCELLENT CENTERING / MARGINS AND SHARP CORNERS WITH THE BRIGHT WHITE PAPER (THAT COMES WITH THE LGS SERIES). 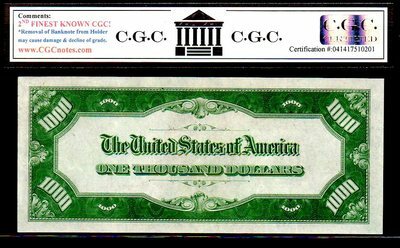 A VERY SOUGHT AFTER ISSUE (LGS) IN A FINEST KNOWN CGC STATUS! CERTAINLY DESTINED TO HOLD THE FINEST KNOWN STATUS THROUGH THE AGES! 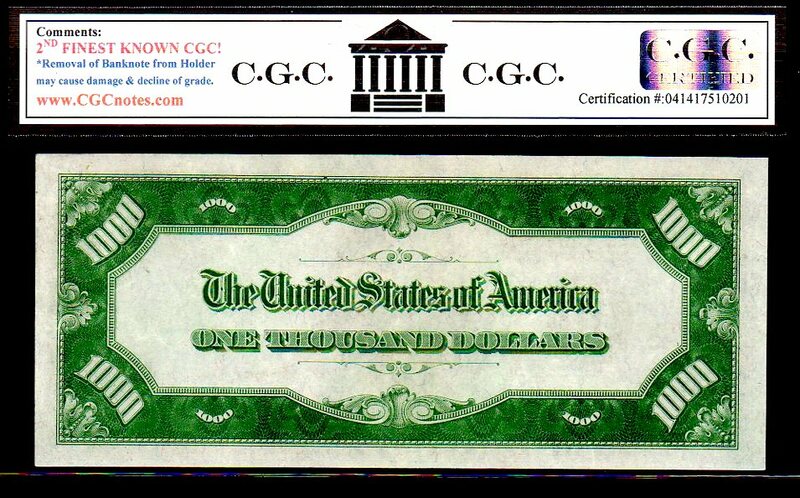 A TRUE TROPHY NOTE!